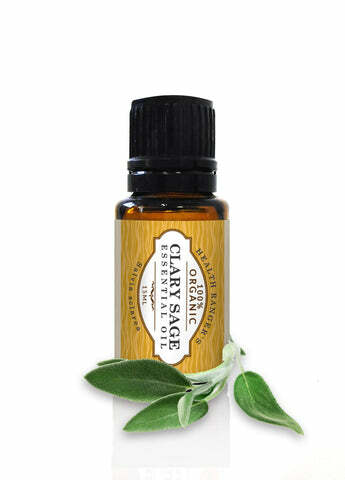 Enjoy the captivating scent of the Health Ranger's 100% organic Clary Sage Essential Oil. Extracted from Salvia Sclarea, this essential oil is one of the most powerful natural relaxants known to man, which makes it invaluable for those suffering from ongoing, day-to-day stress. The herbaceous, sweet and warming aroma of clary sage essential oil is not only ideal in aromatherapy; it also has numerous other health benefits such as helping lift moods and spirit. You can use the Health Ranger's 100% Organic Clary Sage Essential Oil to help surround you with a calm environment and encourage a sense of self-empowerment. Our clary sage essential oil contains no additives or synthetic chemicals.